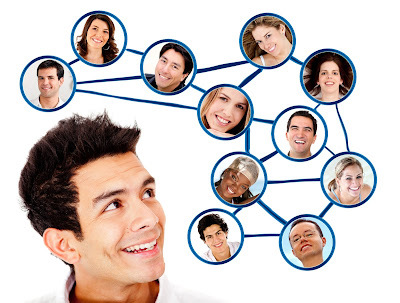 Social networking is an advertising method that uses social networks to build ones business presence on the internet. Although, social networking has been around since the stone ages, it is still in its first stages of development on the internet; it is here to stay. It can be a very powerful tool to an internet business user if it is used correctly. There are quite a few benefits to social network advertising but the more common ones will be listed here. It is a lot cheaper for a business owner to advertise in social networks than paying for advertising. This is because social networks are free to join and interact. This is a great benefit for those that are just starting out and do not have a lot of money to use for advertising. Also when you use social networks you can prescreen potential customers and create a customer profile. This would cost a lot of money if you would do this outside the social network community. Also the personal relationship that you create with your new potential customer is more valuable than any other advertising campaign. Too many business owners today still believe in the old advertising philosophy that one size fits all. This belief is no longer true with all the new methods available and if you are following this method you stand to lose a lot of money in the future. Connecting with your potential clients on some personal level builds trust and credibility. A good rule of thumb for a business owner to follow, especially in social networking, is to offer your services, expertise, or help before a person asks you for it. This will gain trust with the potential client. You should only offer your product or service only if your client asks. Do not try to jam your product or service in their face as you will lose their trust and you will lose your credibility. If you are not careful when offering your product or service, you could get into trouble for spamming which will also cause you to lose the trust and credibility factor. Instead, you need to follow the practice of waiting till the opportunity to promote is brought to you. When you interact in social networking, you meet people who know people and on down the line. Social networking should benefit both parties so never take more than you are willing to give. If the opportunity presents itself never hesitate to ask for any potential leads from your contact. More often than not you will get a whole list from your contact. There are many other benefits to using social networking as a marketing tool. To get results from these benefits you need to be sure that you have the time to spend. It takes time to build trust, credibility and relationships.